We'd all love to have a Tesla Model 3. It is a wonderful luxury vehicle. But with the referral program now gone and the federal tax credit slashed for the Model 3, it is getting further away from those green vehicle shoppers on a budget in 2019, not closer. Fortunately, there is a wide selection of outstanding EV models and types to choose from with prices at, or even under $20K after incentives for buyers in EV-target markets. The top two sellers are both now plug-in hybrid electric vehicles, and a third is a range-extended EV. Battery electrics just don't make sense for many EV shoppers with limited money to spend on their ride. The top-selling affordable EV in America in 2018 was the Toyota Prius Prime. With a range of 640 miles when fully energized and fueled, this PHEV has had solid sales for two years now, averaging 2,000 units per month. Its 25 miles of EV range is all most owners need to make this car an almost entirely electric-driven vehicle. The new Honda Clarity was the number two-selling affordable EV in America in 2018. With its 340 miles of range, and an all-EV range that equals the Chevy Volt at 42 miles, we are not sure where PHEVs end and EREVs begin anymore. Nobody really cares. They just want EVs that are affordable and have along range without any hassles. We predict that the Clarity will overtake the Prime in 2019 as the top-selling affordable EV. The Chevy Volt gets little love from GM these days since it has committed to making its green cars battery-electric and has announced that the Volt's factory will not be allocated cars at some point in the near future. That's funny because the Volt EREV outsells GM's battery-electric Bolt. The fourth-place seller in 2018 among affordable EVs was the Chevy Bolt BEV. With just over 18,000 units sold its sales were only 2/3s that of the Prius Prime. We wish the Bolt well, but the new Nissan Leaf is our favorite for 2019 in the affordable BEV sales race. "They just want EVs that are affordable and have along range without any hassles." Bingo, nailed it. 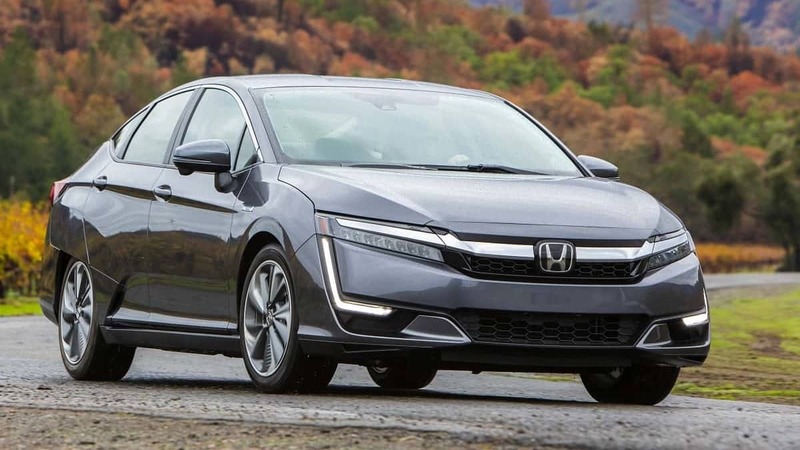 I bought a 2018 Honda Clarity July 2018 over all the other choices because: 1) it was affordable, 2) it offered no-hassle 47 miles EV EPA EV range, 3) I can go anywhere, anytime and never worry about the battery running out, where I'm going to charge, when I'm going to charge, and how long the charge will take. That's what it takes to get me out of an ICE-only car. Nine months later, I have 15K miles on my Clarity and still love it. I drive 100% EV during weekdays commuting to/from work and on most trips during the weekend. For the occasional long trip out of town, no problem, the ICE automatically runs in hybrid mode for an additional 208 miles and refuels in just minutes for another 280 miles. Perfect for me.